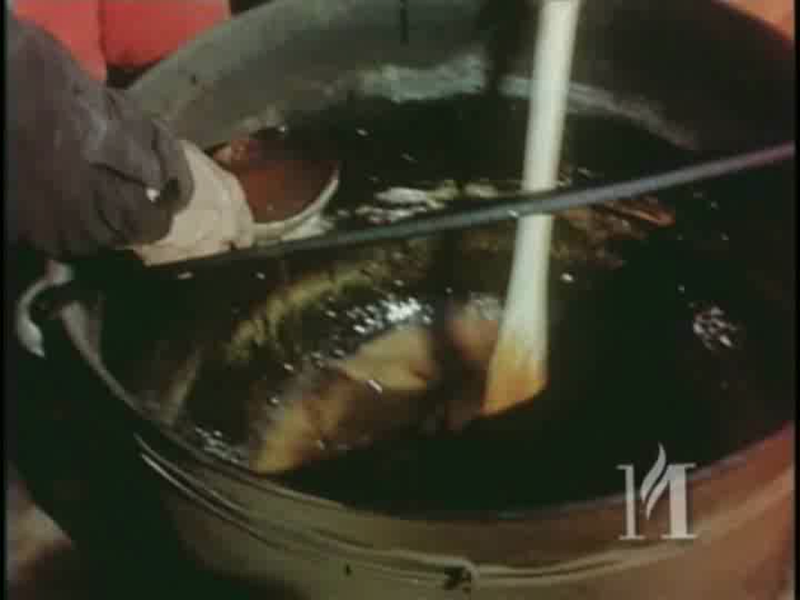 She poured the syrup into a bark sap bucket. There's snow there. That's where my mother made the maple taffy.